Got some thoughts to share about this item? Add your voice to the stream here. Found some epic footage on YouTube, Vimeo or Facebook? Add the link and spread the shred! Snap happy! Share your shots with the rest of the Boardriding world. Keep things fair and square! Let other peeps know the good, the bad and the gnarly. Day 3 has been a historic series of rides here at Lower Trestles. Conditions are perfect as the competition's intensity continues to build. Relik Longboard World Tour runs from Sept 10th-12th at Lower Trestles. For adding comments you have to be logged in. Generally speaking, longboards at Lowers are a no-no. Usually those who opt for the craft amongst the thruster heavy lineup are sent packing just a little bit further south to Church, where they can be redeemed for their transgression. But when Lowers’ crumbly walls were ditched by the WSL for Slater’s tank, it freed up an event permit at the world class wave and the Relik Longboard World Tour grabbed it. Check out the highlights of the best traditional loggers in the world cheater-fiving across Lowers’ normally high-fi walls. Congrats to the contest winner, Harrison Roach. For the event results, click here. Featuring Chad Marshall, Jared Mell, Alex Knost, Tyler Warren, Tommy Witt, Roach, Justin Quintal, and more. Day 2 continues with stunning rides in the Relik Women's Modern Division followed by an unforgettable Classic Division set. Relik Longboard World Tour runs from Sept 10th-12th at Lower Trestles. Relik Women's Modern Division opens Day 2 with strong waves ridden with power. Relik Longboard World Tour runs from Sept 10th-12th at Lower Trestles. Relik Men's Modern Division continues Day 1 ending with the first heats of the Classic Division at Lower Trestles. Relik Longboard World Tour runs from Sept 10th-12th at Lower Trestles. Relik Men's Modern Division opens Day 1 at Lower Trestles with perfect conditions. Relik Longboard World Tour runs from Sept 10th-12th at Lower Trestles. Relik sends some of the world's best longboarders to the KS Surf Ranch. Featured surfers: Jared Mell, Taylor Jensen and Soleil Errico. See you at Trestles, holding period September 9th-19th. Special thanks to the KS Wave Co. and their team at the ranch! 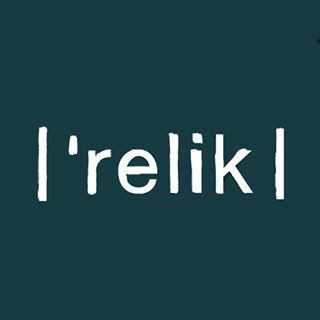 Wanna become a local admin for Surf Relik?